We’re happy to accommodate you in any way possible so you have a comfortable, positive dental experience. When you call to schedule, we will get a few details from you to understand your needs. All costs will be reviewed with you over the phone so that there are no surprises. The necessary forms can be downloaded from our website or sent to you and brought in completed. When you arrive for your appointment, you will sit at a table and have a chat with your dentist about your medical and dental history and your expectations of today’s visit. 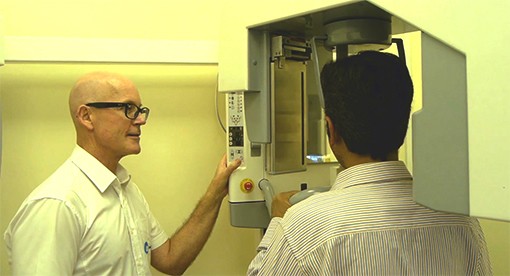 Then we’ll move to the dental chair to take the necessary radiographs and give you a thorough examination. If any further visits are necessary, we’ll give you a treatment plan that details each step so that you fully understand our recommendations. You can schedule any follow-up appointments and be out of the office within about 40 minutes from when you arrived. 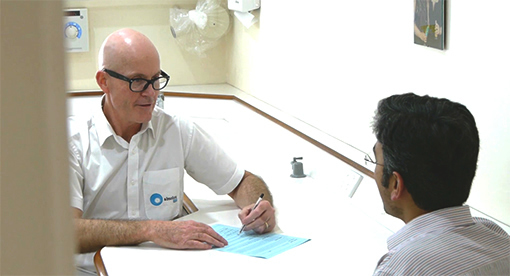 Instead of recommending one course of action for all patients, we customise to your needs. The number of visits per year to maintain optimal oral health will differ depending on your unique oral health situation. When you come in for your preventive care appointment, the Dental Therapist will discuss whether you have any concerns. Together with the Dentist, they will do a thorough evaluation of your teeth and soft tissues, with specific reference to previous notes. If a treatment plan is needed they’ll go through that with you. At the end of the visit, we give a goodie bag to each of our patients. The goodie bag includes an electric or manual toothbrush, toothpaste, floss and anything else we think you may benefit from having.